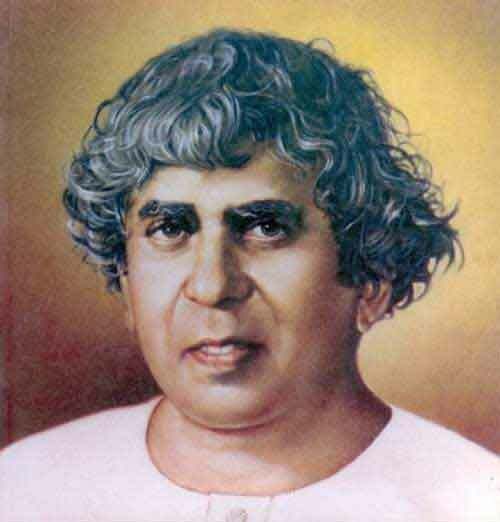 Sadhu Vaswani (1879 – 1966), an educationist and philosopher, was a sage of modern India. This is a collection of teachings and quotes of Sadhu Vaswani. I know not much. I only know that the longing within me grows, day by day, to be consumed, more and more, in the Flame of Sacrifice to Him, whose Beauty blooms in all the worlds and whose Love I see shining, shining everywhere. The categories of the mind will not take us beyond a mechanical order. The organic order, that of life, is revealed by the Atman, the Spirit. Every passion is a distraction. Gather knowledge for service: gather knowledge and be ready for that true life, which is one of offering – the life of yagna. A teacher is a radiant man. He transmits light: he is a man of character. Education should be related to life and not be an academic study. We must aim at an integral education in which humanism is blended with the spiritual ideal. Education must teach students to stand up as soldiers of the ideal. Youth must exercise self-restraint. Not numbers but quality is what the ancient teachers emphasized. They realized that the individual was the key to life’s problem. Decadence in life is our malady, today, because we have emphasized quantity rather than quality, mass rather than the individual. Let your thoughts dwell on the invisible, for thoughts are internal forces. Simplicity is the secret of true beauty. To defend the weak, to guard those that are below us in the scale of evolution, is to grow in the nobility and strength of life. Stand up with faith in Him who leads us on, out of storm into calm, out of darkness into Light! Every day, man must be, for some time at least, alone with God. Not in surface extension but in depth of the soul is the secret of regeneration. Man must learn to walk alone. Live in fellowship with all, but in the heart within, know that you are alone. You belong to no one: no one belongs to you! Alone and empty-handed must you wend your way to the Alone. The man who gives only to those whom he considers deserving has reason to pray that the Lord, in judging him, will not follow his example. As the dirty water spoilt my clothes, it occurred to me, what would be my condition if the dirty water of desires stained the pure, clean surface of my heart. The stains on the clothes, mother, can be washed with soap and water. How shall I be able to cleanse the stains of my heart. He liveth well who thinketh well – thinketh noble thoughts, beautiful thoughts, thoughts which are true and good and radiant. Not many realize that life, at its noblest, is a Yatra, a pilgrimage to God. The infinite is our true home. Humility is a step to the Infinite: for to be humble is to be linked with the Lord! To know thyself? Then be not a wanderer abroad. But go within thyself! Not many realize that life, at its noblest, is a Yatra, a pilgrimage to God. As the body is purified by water, so is the mind purified by truthfulness. Love binds us with silken threads. We get bonded; we get linked with persons we love. Love unites. Loving the Supreme, you are united with Him for you will feel God’s presence within you and around you. When you love God, you will learn to love others, and your life will be built on the foundation of love. Just as eating food and drinking water are necessary for living, it is necessary to practice humility. One has to pay a price for giving up ego. And that price is, to be in fellowship with the devotees of the Lord, and to receive their blessings. How foolish it is to say, ‘I did this, I did that!’ This ‘ego-intoxication’ must go! For what am ‘I’ but a flickering candle that at the dawn will die! Hurt no one! Learn to practice ahimsa to yourself first. There are many cells in your body. Every bad thought, every vicious desire harms the cells in you. You are their guardian, so keep away from bad thoughts. Cultivate ekagrata or one-pointedness, the power of speech and the power of silence. Speak to the point. Learn to sit in silence and adore silence. Cultivate saralata or simplicity. Without being simple no one ever passed from learning to wisdom. None ever entered into illumination without overcoming desire and ego. Be simple! And you will be transformed. Be simple and you will be flooded with light from within. To reach the centre that is you, the real Self, try to rise above argument, thought, and abstraction. Pass into illumination. This comes gently, gradually, silently, from the real Self, the atman. Be simple, non-egoistic. Overcome the desire-self! Become a nukta, a point in the cosmos. Then you will receive illumination from the atman. A thin film of moisture can conceal all the stars. So also can pride, ego and selfishness cloud the face of the omnipresent God. Wipe the lens of your inner eye and you too will behold the face of the omnipresent God. Wipe the lens of your inner eye and you too will behold the Lord, face to face. If you wish to enthrone the God of love on the altar of your heart, you must aspire to be humble as ashes and dust. I don’t want you to get a vision of God with closed eyes. I would rather have you see God with open eyes in all that is around you, in all men and creatures, in every atom of an atom and in the atman within. For me not to love bird and beast would be not to love the Lord. For his children are birds and beasts, no less than human beings. He is truly great who greatly serves. I don’t want you to get a vision of God with closed eyes. I would rather have you see God with open eyes in all that is around you, in all men and creatures, in every atom of an atom. Intuition or inward experience alone could apprehend Truth – the one Reality referred to as Wisdom, as Light, as Beauty, as Love Divine. Intuition is the inner sense, the spiritual sense – as distinguished from the physical senses. Sunset is only an appearance, for what is sunset here is sunrise elsewhere. In reality, the sun never sets. Likewise, there is no death, death is only an illusion, an appearance. For death here is birth elsewhere. He who blesses others is blessed, and he who injures others is injured. Such is a great law. The light of the lord shines in them that seek after Him and are restless until they find their rest at His Lotus-Feet. Are you perplexed by the problem of life? Don't worry! go into silence! Thou will glimpse a solution. The secret of self-discipline is purity. I looked down too – but I saw no prisoners. I saw the traffic, and I saw a number of people who are going about their business. But there was no sign of prisoners!